Accountants Research suggests that if you treat your staff well and invest in them through fair pay and benefits, they’ll be more likely to stay with your company over time. That means lower costs, better employee morale, and higher productivity – which can only be good for clients too. Here at K A Farr & Co we have great staff retention, 86% of our team have been with us more than 5 years and the average length of service of our current team is 13 years! However, sadly we have just lost one of our longest serving members, due to a well-deserved retirement. After two decades Pat Hill has left her role as ‘front-of-house’ at KA Farr & Co. She said, “I have spent nearly a third of my life in office reception and made some good friends along the way.” “I will miss the jokes, the antics, the laughs, the sighs, the tears and the banter of each and every one of you for many reasons.” Pat said at her leaving presentation. 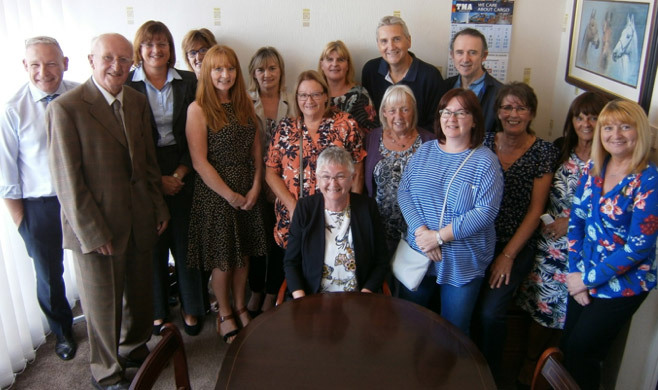 She went on to say how she had built up a rapport with the clients and would miss them too, thanking the large number of them for their gifts on her retirement. Following Pat’s presentation, a celebration and farewell lunch followed at The Hesketh Arms, Churchtown. 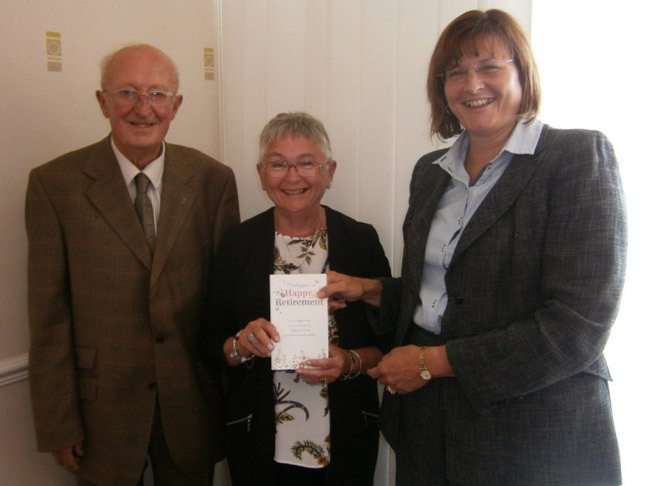 The photo shows Mr Ken Farr and Kath Farr presenting Pat with a retirement gift and thanking her for her dedication to the job and loyalty to the firm over the past 20 years.